After alleged brain damage suffered by Mohammed Allan leads to his release, details emerge of his terrorist past. 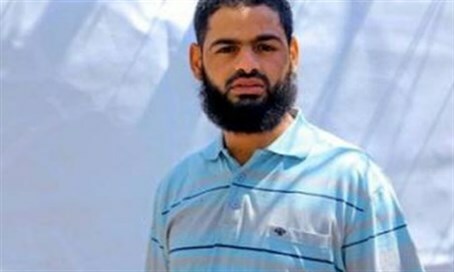 Mohammed Allan, the Islamic Jihad terrorist whose 65-day hunger strike led the High Court to suspend his administrative detention Wednesday, was involved in the recruitment of suicide bombers, according to Makor Rishon editor Haggai Segal. "According to an official Shin Bet publication, Allan was arrested and imprisoned in the course of the previous decade, due to his activity in recruiting suicide bombers and in assisting fugitive terrorists,” wrote Segal in an item that will appear in Friday's edition of the newspaper. A resident of Einabus near Shechem, in Samaria, Allan was arrested in November after he had been in contact with an Islamic Jihad with the aim of carrying out large-scale attacks, according to the Israel Security Agency (ISA, or Shin Bet). He was previously imprisoned from 2006 to 2009 for recruiting suicide bombers and assisting fugitive terrorists, according to the ISA. His lawyers say he was never informed of the accusations against him during his recent detainment. Administrative detention is a tool sometimes used when the ISA does not want to have to disclose the sources of its information about a suspect. The decision to free Allan followed news that he had suffered some brain damage. He is supposed to remain hospitalized for the time being but is no longer under administrative detention. The Barzilai Hospital in Ashkelon announced on Wednesday afternoon that an MRI test found that Allan had inflicted brain damage upon himself through the hunger strike. It remains unclear whether the damage is reversible or not - the state had surprisingly agreed to immediately release him if he suffered irreversible brain damage. Dr. Hezi Levy, director of the hospital, said, "I don't know if the damage is completely reversible, how much so and when. I presume it will take time for the recovery of these cells in the brain." Even before this, attorneys for the state agreed to release Allan in November, when his current term of administrative detention ends. Internal Security Minister Gilad Erdan (Likud) stated soon after the news surfaced that he was vehemently opposed to such a deal.